Are you eager to start your career as a Maintenance Technician? Quality Personnel is seeking qualified candidates for Maintenance Tech. This is a Direct Hire placement. Submit your resume for consideration! Maybe you're a recent graduate, ready to start your first job. Or maybe you have years of experience and want a great company to work for. Whatever the case, if you are a trained Maintenance Tech and want to work in the Bowling Green, KY area – you need to apply for this excellent opportunity! Electrical License is a plus! No Minimum Experience Required – Recent Graduates encouraged to apply! If this sounds like an exciting opportunity for you, please Apply Online! Sherry joined the Quality Personnel team in 1998 after spending 11 years in the industrial community in areas of payroll, accounting, purchasing, Worker’s Compensation, and inventory control. 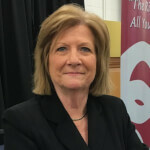 After working the following four years as a CSR, Sherry became the Division Manager for the Bowling Green office in October 2002. She holds an Associate Degree in Secretarial Science and a Bachelor’s Degree in Office Administration from WKU. She obtained her CSP (Certified Staffing Professional) certificate in April 2015. Let us help you meet your career goals!